We just pulled into Kanab, Utah - great overnight stopping place when you're hauling horses. It was 86 degrees F when we headed out of Maricopa, Arizona this morning on the first day of our trek home to Canada… by the time we reached Flagstaff a little over two hours north, we were viewing pines rather than cactus and the temperature had dropped about fifteen degrees… still, it was a sunny warm day with great travel conditions. We usually enjoy the trip home… well, let me revise that. We enjoy it once the stress of packing up, loading horses and getting on the road is complete. It seems as though it takes forever to actually leave the yard! It takes about 24-30 hours of driving (less fuel, food and people/animal breaks) to get from Maricopa (about 25 minutes south of Phoenix) to the U.S./Alberta border. We try to take three days each way though we’ve done the trip in two… we’ve even done it straight through – once or twice. Weather permitting we enjoy the route north through Flagstaff and Paige, AZ then on through Kanab, Panguitch and Selina, Utah before rejoining the Interstate south of Salt Lake City. 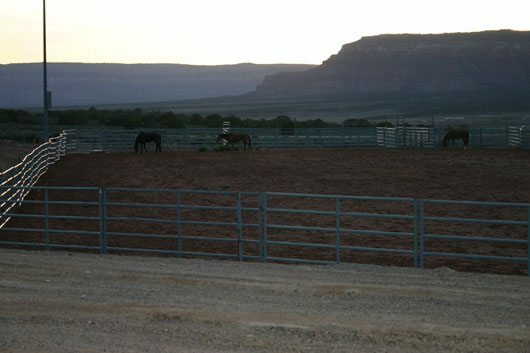 And, along with many rodeo folks, we’ve found some favorite overnight spots for both our horses and ourselves. Our first stop this time around was at Kanab, Utah – a small, clean community in Red Rock desert country not far from the north rim of the Grand Canyon. Set in stunning semi-desert with red sand and rock formations all around, Kanab boasts a small, out of the way rodeo grounds a few miles south of town. If the weather is reasonable, it’s an excellent place to put your horses up overnight. The grounds features several spacious paneled pens, two large outdoor arenas and water that’s always been turned on when we’ve stopped in. 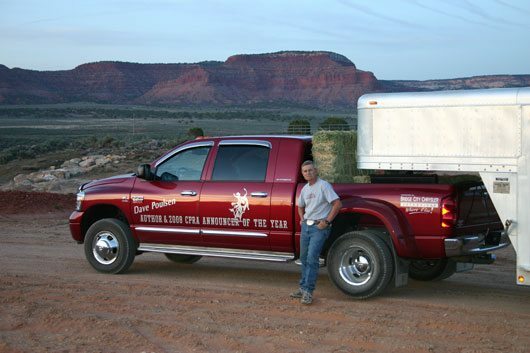 We generally put our horses away and grab a hotel room in Kanab. Rooms are plentiful, and reasonable in price in a town with friendly people and some good restaurants. 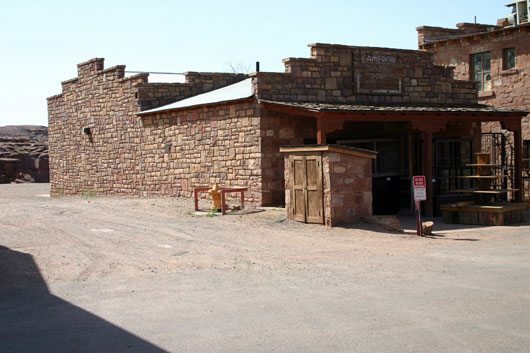 The Kanab area has been a popular choice since the 1920’s for film making – particularly westerns… The Lone Ranger, The Outlaw Josey Wales, Maverick and Gunsmoke to name a few. Kanab also boasts a legendary Mexican restaurant – Nedras Too – which we try to visit for dinner when we can. Will catch up again further down the road.